Where no talk is innocent. clan. The weight of history. 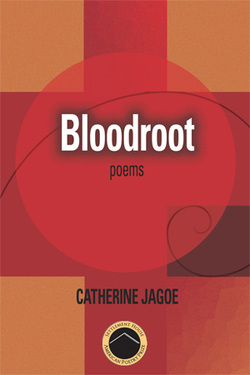 Bloodroot (2016), Catherine's first full-length poetry book, explores the concepts of home, migration, roots and uprooting. It won the Settlement House American Poetry Prize, awarded annually to a collection of poems by a first-generation American. More information can be found here. It also won the 2016 Council for Wisconsin Writers Edna Meudt Award and an Outstanding Work of Poetry award from the Wisconsin Library Association. Click here to order your copy of Bloodroot from Settlement House Press. It is also available on Amazon.